We just released our latest WordPress theme, Mixr. Mixr is a child theme of Stargazer by Justin Tadlock. It features a bold new colour scheme, multiple layouts, customizable colours, whole new look, and all other features of its parent theme. You can download the theme below, or check out the details and demo here. To view the source, or file issues, you can go to Github. Hi there!! 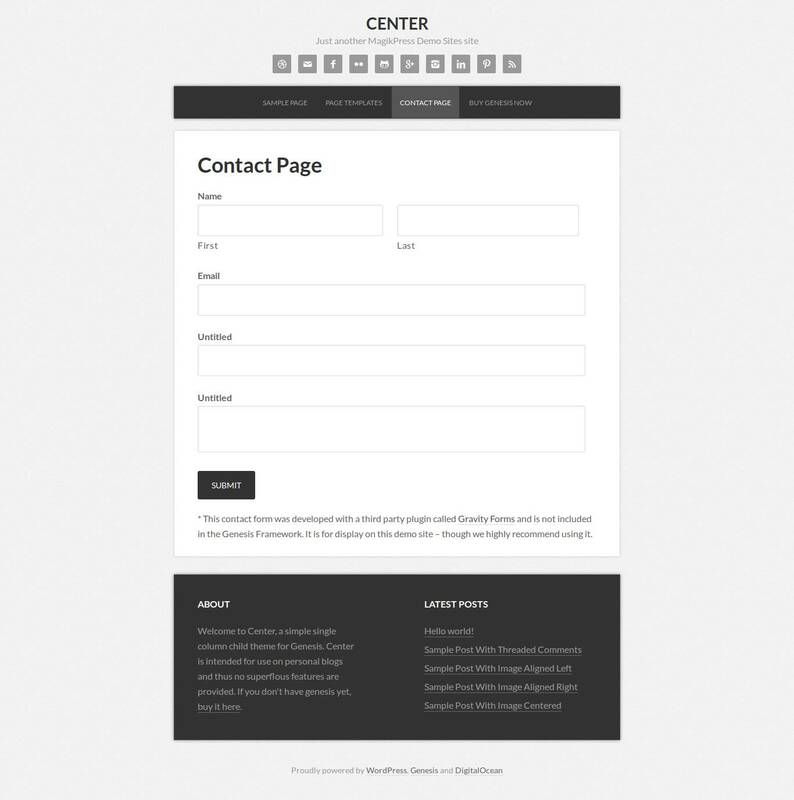 After working with Genesis for a few months (on client websites), I’m releasing my first child theme, Center. It’s a very minimalistic, yet elegant, one column blog theme. You can see a few screenshots below. One widget area below site title. The theme is released under GPL, and the code is on github. Please test it, report bugs, if any, and suggest improvements. You can check out the theme here.